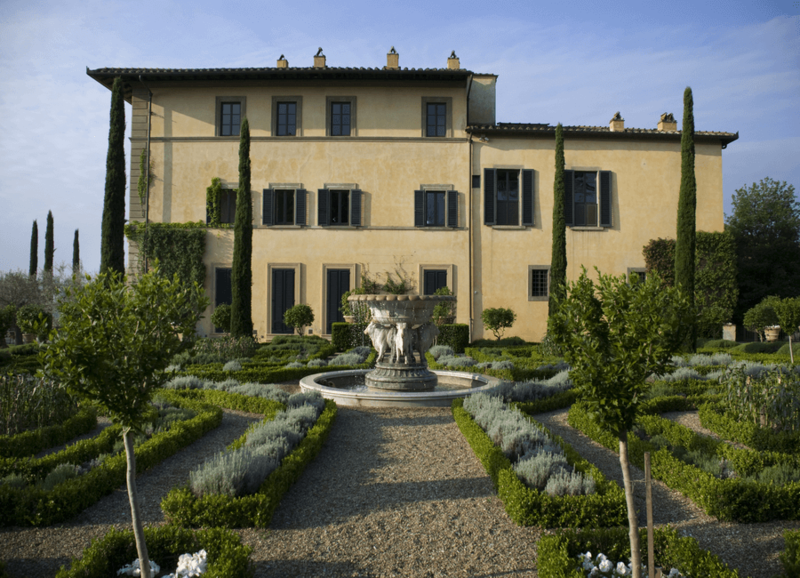 Overlooking the billowing hills of Tuscany, near Florence, lies Tenuta Il Palagio. 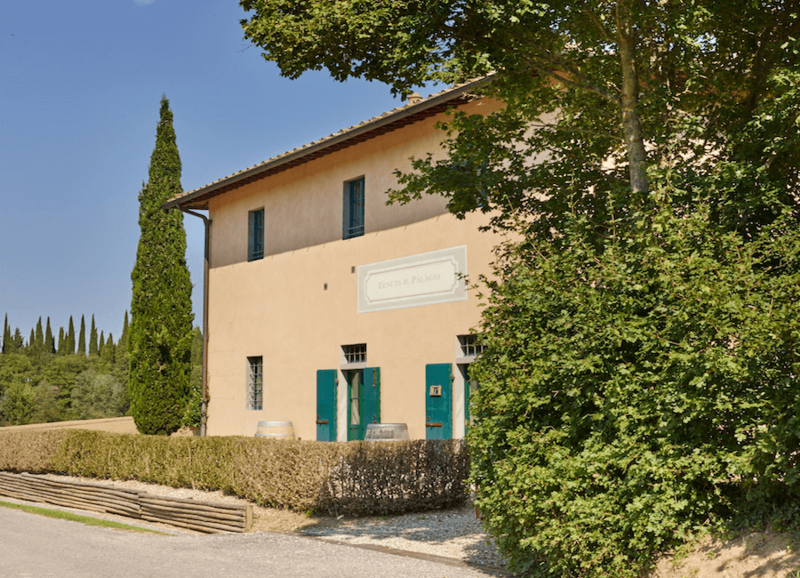 Here, Sting and his wife Trudie Styler have not only filled the villa with mirth and memories, but used every inch of their Chianti farmland to produce stunning IGP wines and local produce. Learn of their story and how you can get your hands on Il Palagio produce below. When Sting and Trudie bought Il Palagio, they were no strangers to Italy. Sting recorded his album Soul Cages in Tuscany, and their daughter Elliot was born there, too. So, since the early 90s they’ve had deeply felt ties with the region. 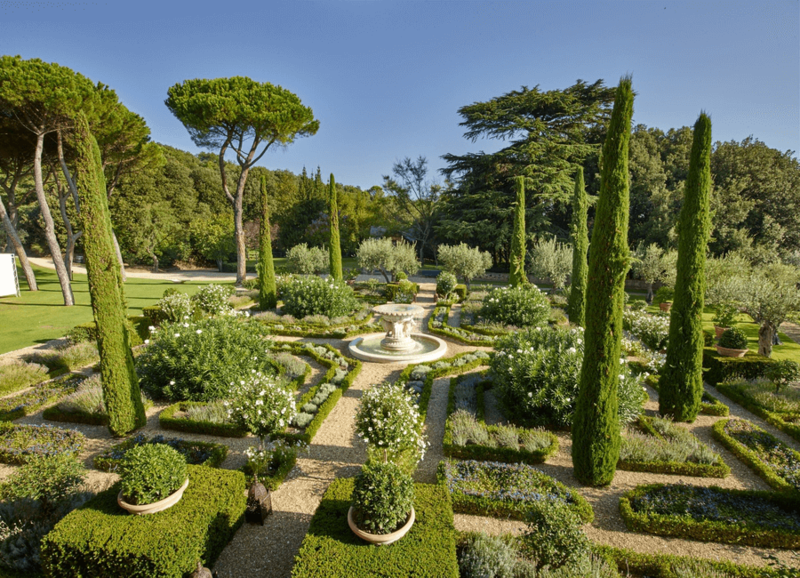 They had been looking to buy property in Tuscany for years when they found Il Palagio. It was love at first sight! 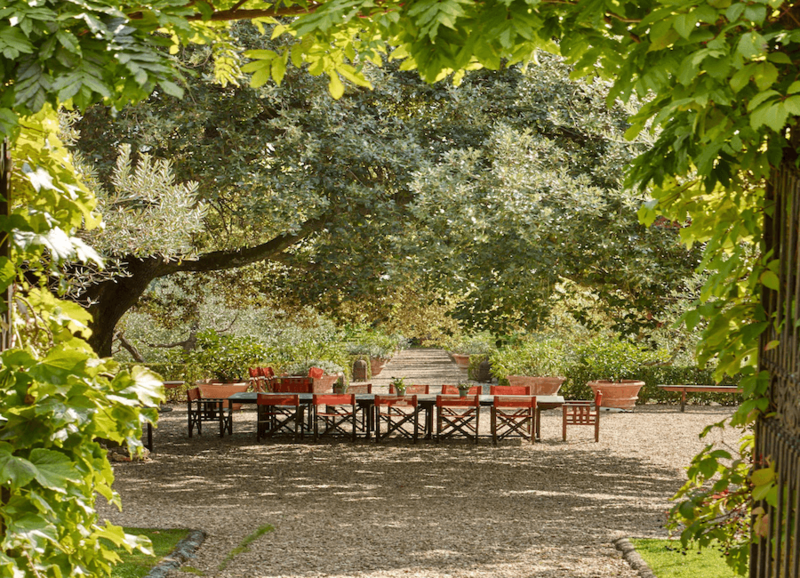 They immediately made an offer, and Il Palagio – along with its lush farmland – was theirs. The couple have referred to the villa as their “spiritual home” in past interviews. When not working abroad, Il Palagio’s walls echo with the sound of their family and friends. 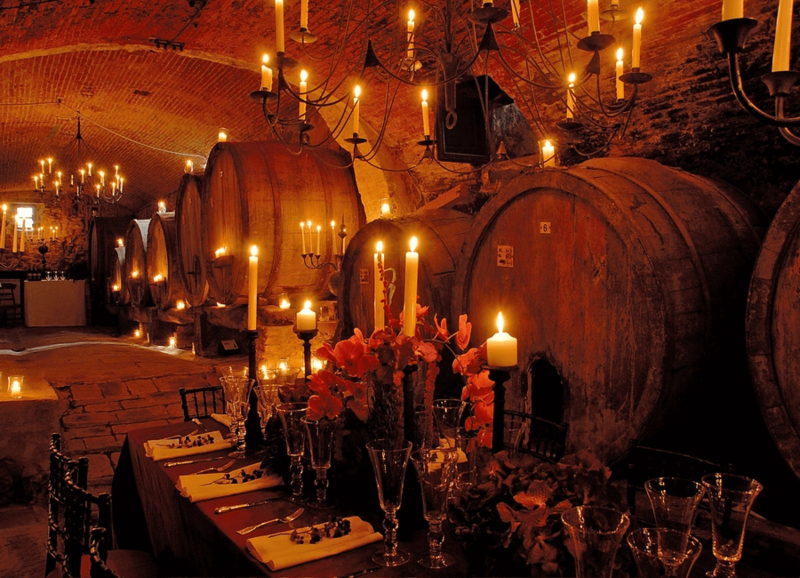 The couple didn’t exactly have winemaking in mind when they bought Il Palagio. However, unwilling to let its fertile, 16th-century vineyards go to waste, a decision was made to give it a go. Like any venture, there were a few obstacles to overcome. They had been served a glass of what they thought was vino from the farm’s vines by the Duke of San Clemente the day they bought the estate from him. However, for the first few years, they found their wine wasn’t quite as good. It turns out the wine they’d tasted was actually French! This chuckle-worthy misunderstanding was a blessing in disguise! It galvanised the couple’s desire to bring Il Palagio’s selection to standard. Alongside Il Palagio’s loyal and knowledgeable estate manager, Paolo Rossi, and with the brilliant guidance of their eonologists, Paolo Caciorgna and Daniel O’Donnell, Sting and Trudie have made their viticultural endeavour a resounding success. As the Italians say, dove regna il vino non regna il silenzio (where wine reigns, silence does not). Indeed, local viticultural experts have made a lot of noise over Tenuta Il Palagio labels. In 2011, ‘Sister Moon’ was voted one of Italy’s top 100 wines, and their blended red ‘Message in a Bottle’ is also critically acclaimed as a Toscana IGT. What’s more, all Il Palagio products are 100% organic! The Tenuta Il Palagio range. It’s not just wine! Visit the Il Palagio farm shop (open daily) and you’ll find gorgeous organic honey, olive oil pressed from olives grown on the estate, and mouthwatering salumi from the estate’s specially bred pigs. 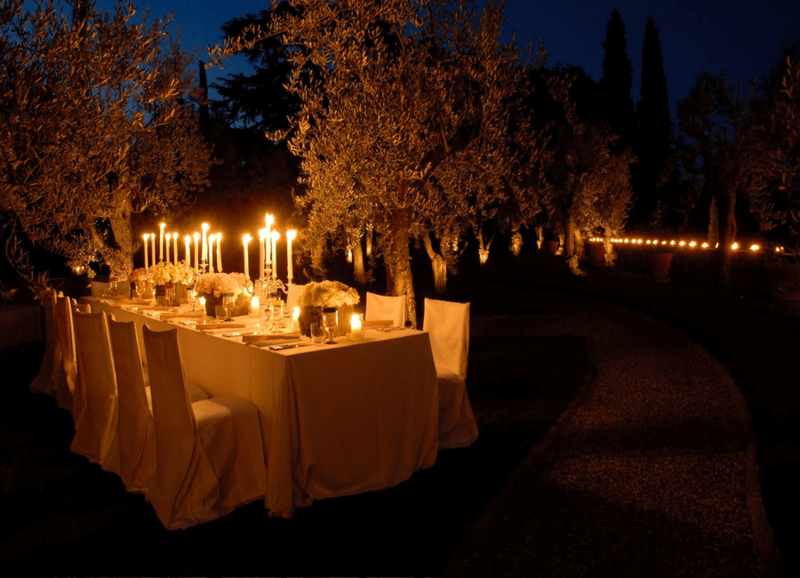 The villa itself is also available as a luxury events venue. Additionally, guests can book one of the several charming villas and guesthouses on and around the estate. These come complete with modern amenities and wine tastings. Individual rooms, however, are not available – but then, Il Palagio is the kind of place you’d want to share with friends and family, anyway! Want to know more? 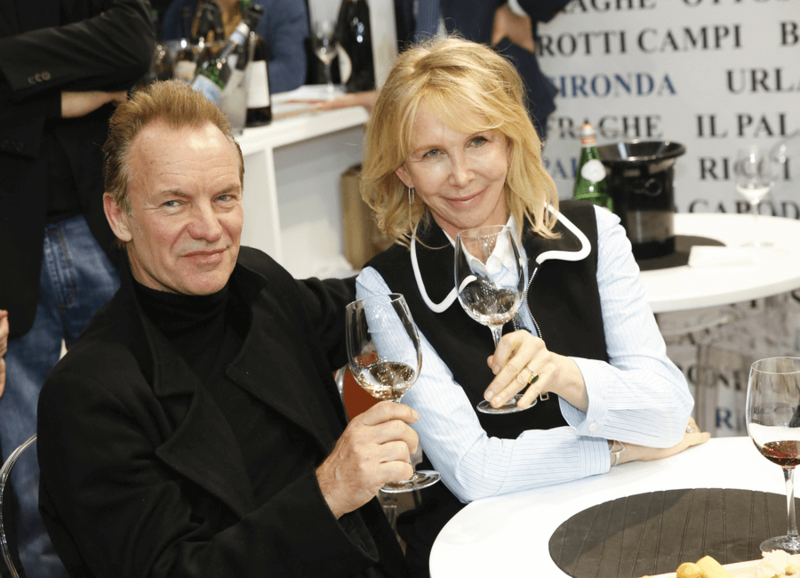 We spoke with the Sting and Trudie about their agricultural adventures at Tenuta Il Palagio in an exclusive interview!